Iraqi Shi'ite cleric Moqtada al-Sadr speaks during a media conference with Iraqi Defense Minister Arfan al-Hayali and Iraq's Interior Minister Qasim al-Araji (not pictured) in Najaf, Iraq (Alaa Al-Marjani/Reuters). Mohammed A. Salih examines the risks associated with the establishment of an independent Kurdish state in northern Iraq. Osama Al Sharif evaluates the diplomatic balancing act Jordan is attempting to navigate as it responds to the Qatar-Gulf crisis. 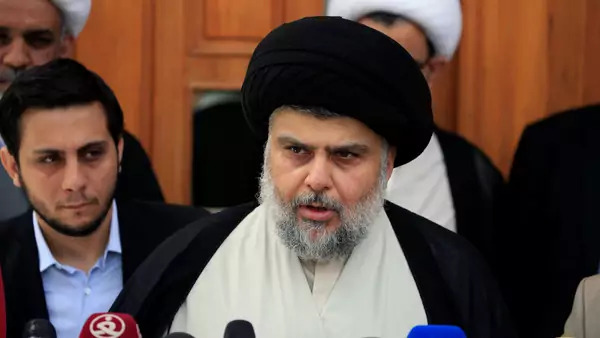 Mustafa Habib considers the motives behind the Iraqi Sadrist movement’s recent attempts at forming a cross-sectarian political alliance ahead of next year’s federal elections.